One of Devonport's historic churches in the grounds of the Mt. Cambria gardens and reserve houses this museum traces the area's history through a large collection of photographs and artefacts. Travel through time from Mäori to early European settlement, the arrival of the ship building industry, transport, and developments in architecture. Displays include a model of the Devonport peninsula before settlement, a model Victorian villa, and Mäori and European items found in the area. The museum also houses records from Devonport's institutions, clubs and events, video and film images, and an extensive shell collection. 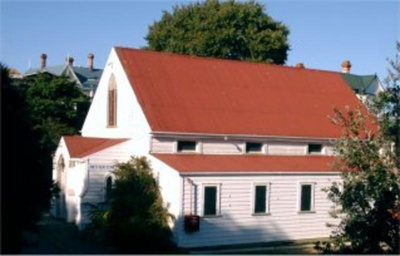 -36.825443 174.80269 16 Devonport Historical and Museum Society Inc.